1. Write a letter to the Governor – Follow the templates created by clicking here. Or, join us on Tuesdays from 3:30PM – 4:30PM in the TASC Lounge to write your letter with us. 2. 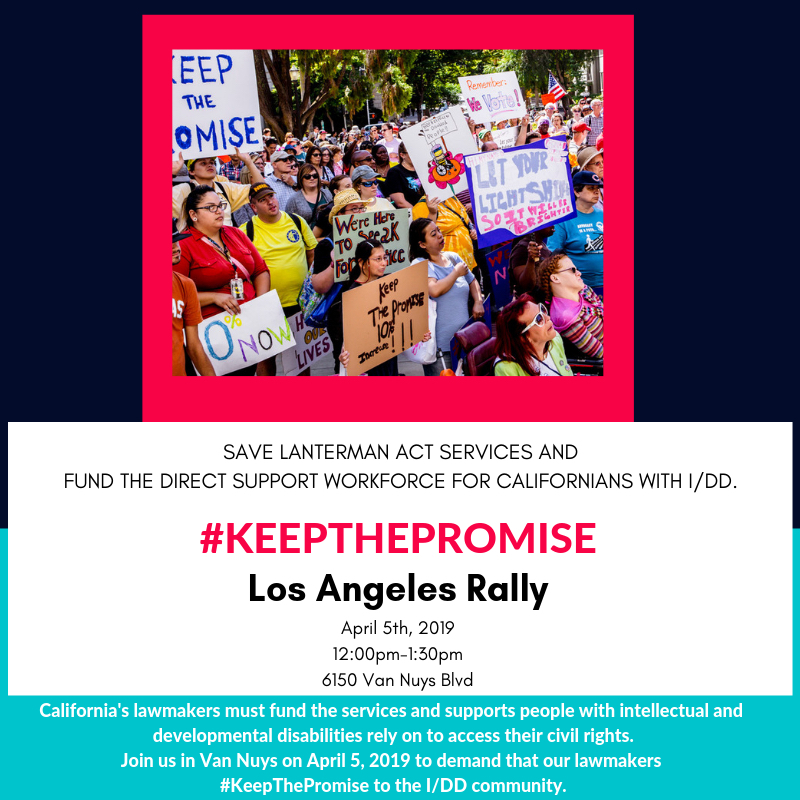 Attend the Los Angeles Rally – Join hundreds of others supporting individuals with disabilities on Friday, April 5 from 12PM – 1:30PM in the Van Nuys State Office Building. RSVP by clicking here. 3. Attend the Legislative Hearing – We need to pack this room for key lawmakers to see how many people are impacted if California doesn’t #KeepThePromise on Thursday, April 18th at 6PM at New Horizon’s within Sam’s Café. 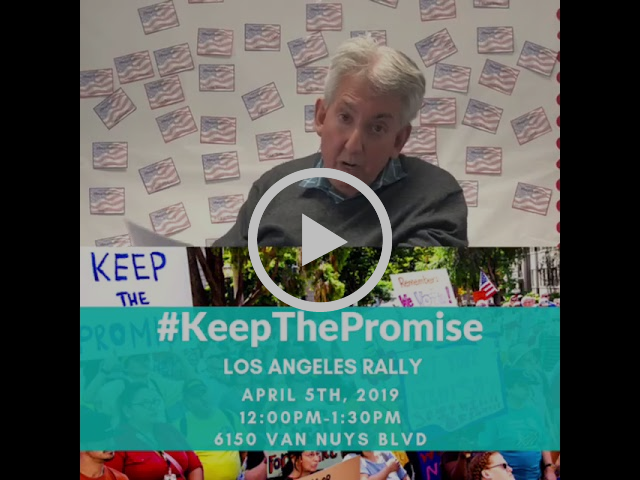 Hear from TASC Executive Director, Ken Lane on why we need to remind California to #KeepThePromise. Spread the news about the Los Angeles Rally with family and friends who want to help make a difference. See the flyers by clicking here. The Adult Skills Center (TASC) is a 501(c)(3) nonprofit organization, which provides individuals with intellectual and developmental disabilities the instruction, training and support needed to ensure they achieve their highest level of independence, develop a sense of well-being, and realize their greatest potential. Copyright © *2019 *The Adult Skills Center*, All rights reserved.